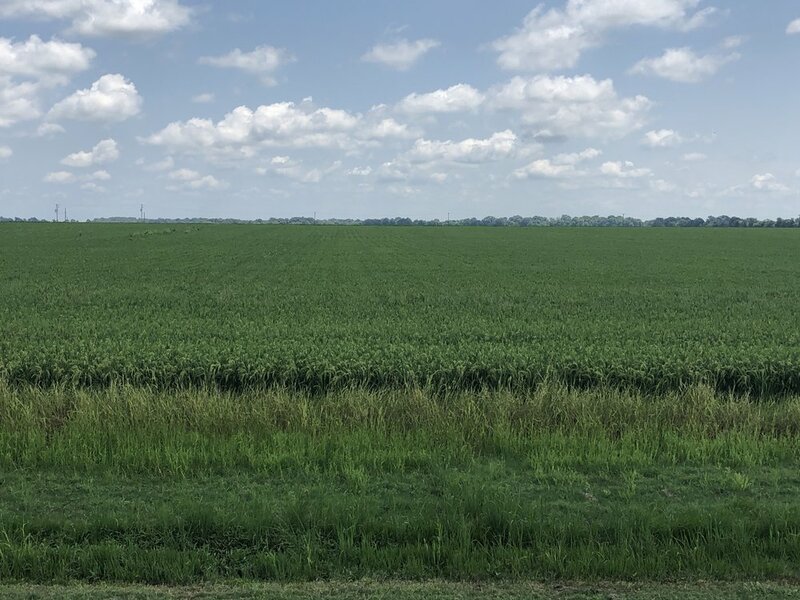 The Stuttgart Bayou Meto Farm consists of 935 (+/-) total acres located in Arkansas County, Arkansas five miles west of the city of Stuttgart of­fering an excellent agricultural and recreational investment opportunity. The farm has outstanding access from Arkansas State Highway 343 (aka. Goldman Sunshine Road) and 79, in addition to Goldman Loop Road, Hines Lane, and Whitetail Lane. The farm has an extensive irrigation system in place, and significant land leveling has been completed as well. The Farm Service Agency reports a total of 780.41 tillable acres of which all are irrigated. Of the 780.41 irrigated tillable acres, approximately 348.74 acres have been leveled to a zero grade, 56.2 acres have been precision leveled with a fall, and 95.61 acres have had dirt pans on them and are considered improved row water. 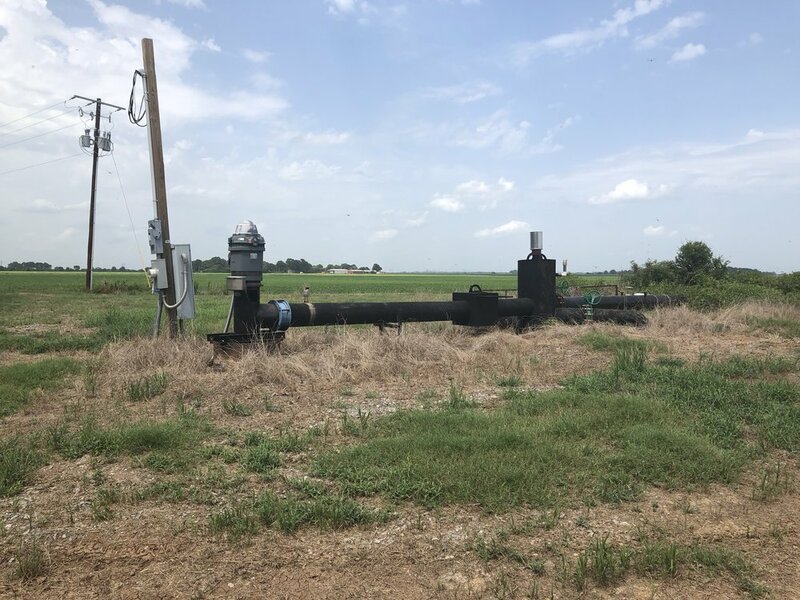 The farm has seven (7) wells and six (6) re-lifts that are mostly connected by over 16,500 feet of underground pipe providing more than ample water to irrigate the tillable acreage. There are two (2) re-lifts on Bayou Meto that provide surface water irrigation to the western por­tion of the farm. On the southeast corner there is a recently constructed sixty-three (63) acre irrigation reservoir that has two (2) new electric re-lifts that provide surface water irrigation to the central, eastern, and northeast portion of the farm. 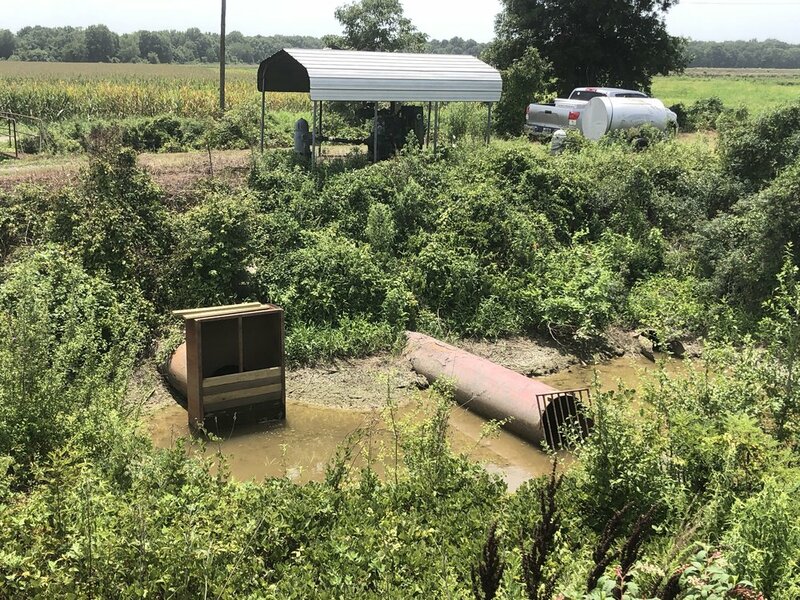 There is a 5,000 cubic yard tail water re­covery pit in the central portion of the farm that has a re-lift stationed on the north part of the pit. The most southern re-lift is a large twenty-two (22) inch diesel turbine re-lift that was installed to pump off the western portion of the farm. 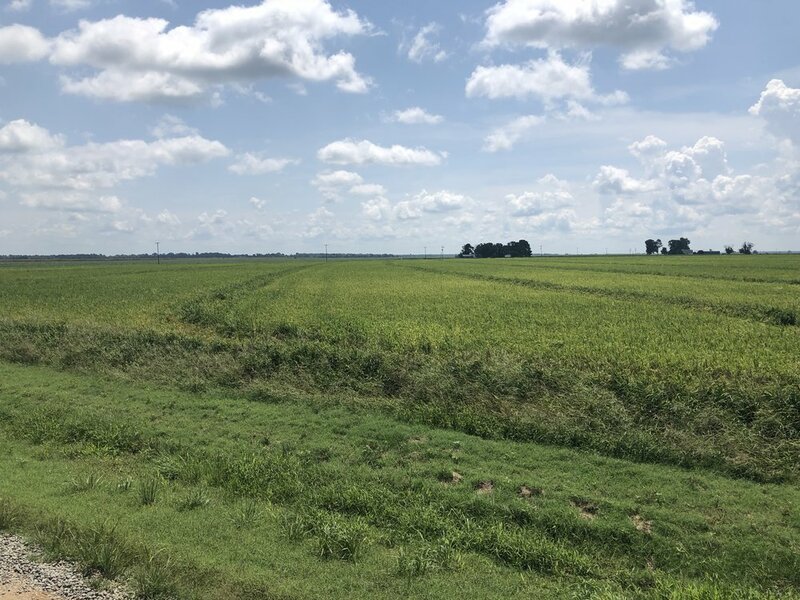 Historically the farm has been planted in a rice and soybean rotation, but a portion of the east side of the farm could be put in a corn and soybean rotation. 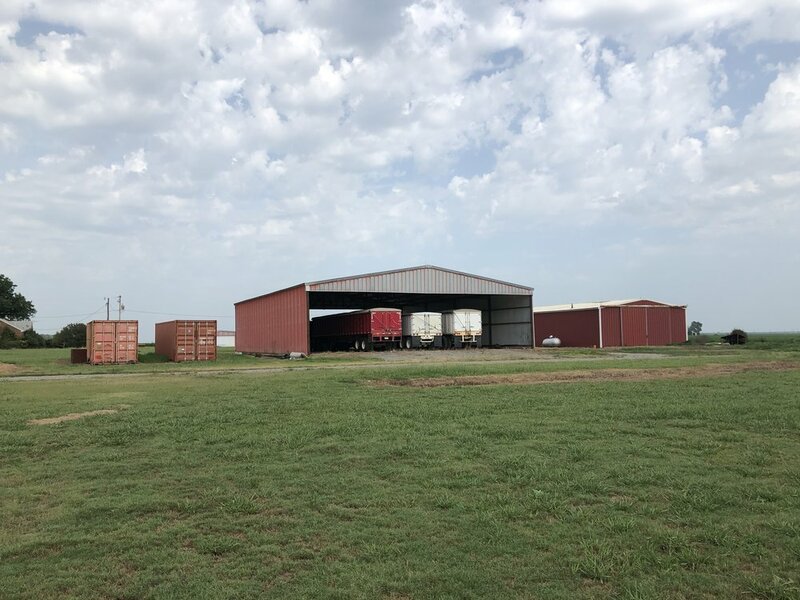 To complete this agricultural investment grade farm, there is a head­quarters site on Goldman Loop road that has two labor houses, a 2,700 square foot shop, and a 4,500 square foot metal pole barn with a con­crete floor. In addition to being a strong agricultural investment the Stuttgart Bayou Meto Farm also offers significant recreational opportunities with part of the western portion of the farm bordering the famous Big Bayou Meto. The farm has close proximity to many noteworthy duck clubs such as Screaming Wings, ABF, Wild Wings, Bald Cypress, and many others. Duck hunting opportunities exist in the fields, and the ownership has historically leased the hunting rights out. The hunting rights are leased for the 2018-2019 duck season. The Stuttgart Bayou Meto Farm is being offered as two (2) separate tracts, or as a whole. Please see the map within the brochure that shows the potential tract division; other tract divisions will be considered as well. If the Seller chooses to sell the farm by tract division, the Seller shall bear the cost to segregate the irrigation system. Contact Gardner Lile (mobile: 501-658-9275) or Gar Lile (mobile: 501-920-7015) for more information or to schedule a property tour.